I’m sure you’re familiar with the Food Pyramid, the government’s recommendations for a healthy diet. 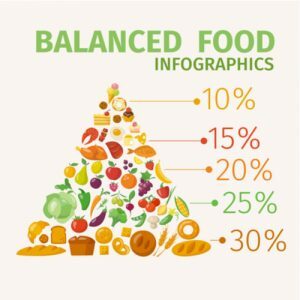 Food Pyramids have been a symbolic representation of nutrition for over forty years now, since Sweden first developed theirs in 1974, but the one that you’re probably familiar with is the one developed by the USDA in 1992. 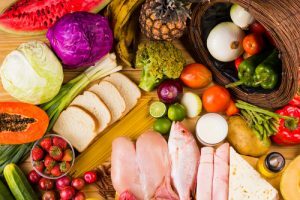 Many of us grew up treating the Food Pyramid as fact; even if we didn’t always follow their recommendations, we still held it as the ideal of eating healthy. Unfortunately, basically everything from the Food Pyramid that you learned is wrong, and, despite being originally developed to combat heart disease, it not only hasn’t worked, but there’s increasing evidence that the Food Pyramid has actually done harm to the health of America. It’s time to learn exactly what the Food Pyramid got wrong, and, if necessary, change up your diet completely. The most fundamental level of the Pyramid is grain, advising that everyone eats from 6-11 servings of grain a day, much more than every other category. In reality, this is a terrible decision for your diet. Grains and starches are high carbohydrate foods, both simple and complex, and carbohydrates are one of the most significant sources of weight gain. In addition, a high-carb diet is basically a surefire ticket to type II diabetes. Considering two other categories on the Pyramid, fruits and vegetables, also contain carbohydrates, sticking rigorously to the Food Pyramid will almost definitely cause you to gain weight. Interestingly enough, the focus on grain in the first place came from depression era recommendations, when it was hard to get enough energy to get by, and in those conditions, making sure you get enough energy from carbohydrates is a good idea. In a modern world of fully stocked grocery stores, the biggest concern isn’t not getting enough food, but eaten the wrong foods. What am I saying? Of course fat is bad, right? You’d be forgiven for thinking so, as it’s literally the same word as what happens when you eat poorly. In truth, though, fat isn’t really the enemy. Now, I’m not going to say eating big tubs of lard is good for your circulatory system, but a healthy amount of fat is actually really good in your diet. The stigmatization of fat actually stems from lobbying by the sugar industry. In the middle of the 20th century, when studying the causes of rising heart disease, there were two prevalent theories, that fat becomes fat, or that too much sugar is difficult for your system to process, and get’s stored as fat. We now know that the second is true, but the sugar industry didn’t want that to get out or it might cut into their profits. After an aggressive advertising campaign and some pseudoscience, the sugar industry convinced America that “low-fat” foods were the healthiest option. Not only are low-fat foods not any healthier than their regular fat alternatives, they’re actually often worse, since many companies will load up low-fat options with sugar to compensate for the taste. Milk is delicious, and it isn’t particularly unhealthy, but it also isn’t something that you need to have in high quantities every single day. The main benefit that you supposedly get from milk is calcium and, while milk does contain high amounts of calcium, other foods like fruits and veggies contain calcium as well, in addition to a wider variety of nutrients then you would get from a glass of milk. One of the most fundamental issues with the Food Pyramid is that it simplifies everything far too much. It just says “Eat grains”, “Don’t eat fats”, “Eat some meats,” etc. That advice is next to useless, as not all foods are equal. Fat is a perfect example. If you eat foods high in unsaturated fats, like nuts and fish, then you won’t have many negative consequences from the fat. On the other hand, saturated fats, the fats from things like dairy and meat, or trans fats, rarely seen naturally but often included in processed and junk food, are not good for you at all, and should be eaten sparingly. Grains work the same way; someone who eats a diet full of whole grain will have a much healthier diet than someone who eats a lot of white bread. They shouldn’t even really be considered the same category of health. What do you think a “serving” is? Many would assume that a serving is the amount of food you eat in a meal. That isn’t even close, and is a source of much confusion. In reality, a serving is an arbitrary and relatively small size. Very few of use would look at a serving of food and thing of a “meal”. Because of this, some people think that the Pyramid is recommending 6-11 meals worth of grain, when it’s actually just in a unit of measurement no one uses. The most fundamental problem with the Food Pyramid is that it treats people as monolithic. As if it was remotely reasonable that a small child should have the same diet as an old man, or that a male bodybuilder should eat as much food as a short, skinny woman. In reality, everyone has different dietary needs. 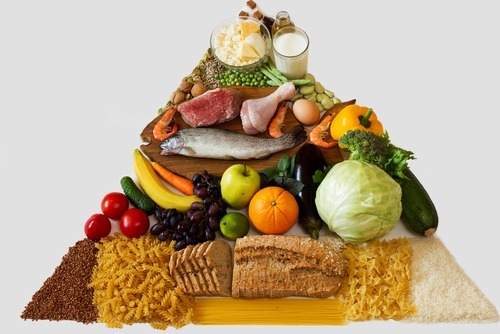 Don’t put your diet in the hands of an impersonal pyramid. Develop a diet that you enjoy, do your research, and figure out what works best for you. ← Previous Story What Are The Foods That Can Trigger Depression?